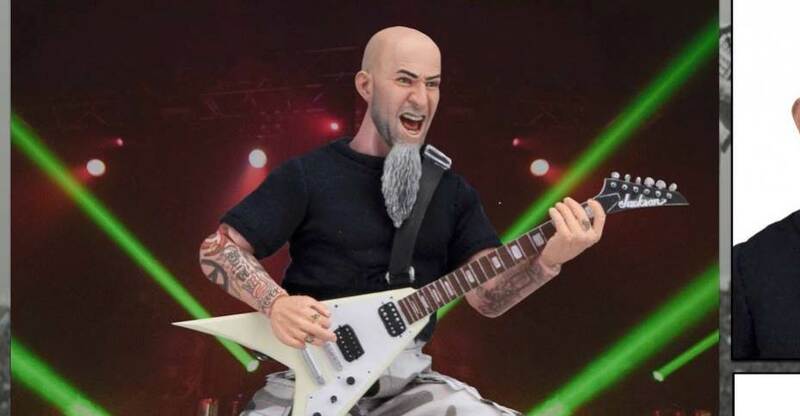 Scott Ian, the legendary guitarist and founding member of the metal band Anthrax, has revealed an all-new figure based on his likeness! The figure, created by NECA, is an 8″ scale retro Mego style figure. The figure includes three interchangeable head sculpts, including one of Scott from his appearance on The Walking Dead. Also included is a scaled replica of his Authentic Jackson flying V guitar. Pre-orders are available now from the official Scott Ian Merchandise Shop. If you pre-order directly fro mthe shop, the box will be signed by Scott Ian! The figure is priced at $49.99 and ships out this Fall. You can pre-order by Clicking Here. Click the banner image for a full look at the figure. 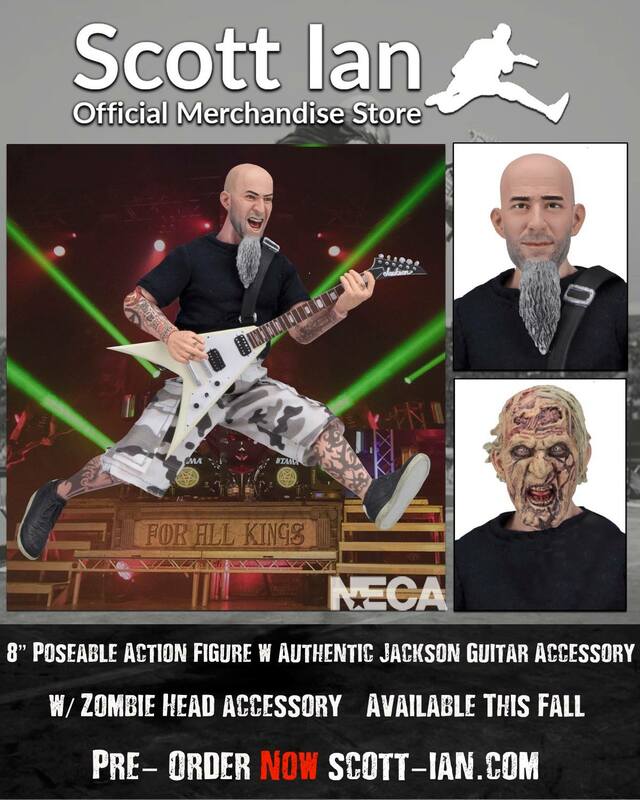 Scott Ian 8″ Action Figure! NECA – Available this Fall. Pre Orders will receive Scotts signature on the Box! Includes Scott Infamous Walking Dead Appearance Zombie head! With close attention to detail recreating Scotts Tattoos and Iconic look to make these as accurate as possible. This awesome fully poseable action figure comes with Authentic Jackson flying V.